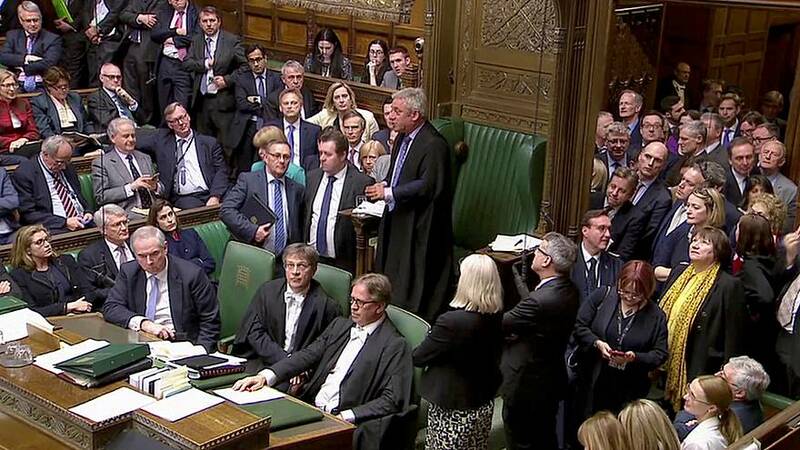 The deadlock over Brexit hit new heights today as UK MPs tied in a vote on whether parliament should hold more indicative votes on Monday. In recent weeks they have been considering a range of options to try and break the impasse over approving the EU divorce deal. This afternoon they held a poll on whether more non-binding votes should be held next week to try and find a majority for something. But they could not even agree on that: the vote finished tied, with 310 MPs backing the move and the same number opposing it. In a highly unusual move Speaker John Bercow, who heads proceedings in the House of Commons, cast his vote. He chose to reject the idea of having more indicative votes on Monday. Bercow said he thought it was the first time since 1993 that the speaker has had to intervene and break the deadlock of a tied vote. MPs later narrowly approved a motion to pass legislation to attempt to prevent the UK leaving the EU without a deal on April 12. They vote by 312 to 311 to approve it.